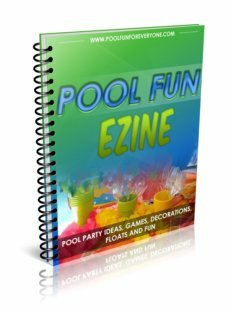 Swimming pool floats provide relaxation and add fun to party games and activities. There are different floats for different purposes. Some floats keep you high and dry so you can read and enjoy a book while others keep you low and cool, immersed in some refreshing water. There are pool floats for all ages and preferences - baby pool floats, kid size pool floats and swimming pool lounge floats for the adults. Have you ever come home from work all excited about relaxing in the pool only to find that your inflatable lounge float is no longer inflated? Don't be disappointed any more. Get a float that doesn't require any air. There is no need to blow up these pool floats to enjoy them or deflate them for storage. They won't sink, absorb water or lose air because of holes or tears. Because they are so durable they will last for many years and do not need to be replaced. What makes these floats so comfortable is that instead of sticky plastic, they are made of soft fabric and are filled with tiny foam beads that support your head, neck and knees. It's easy to get comfortable as the beads move and adjust to your body shape. 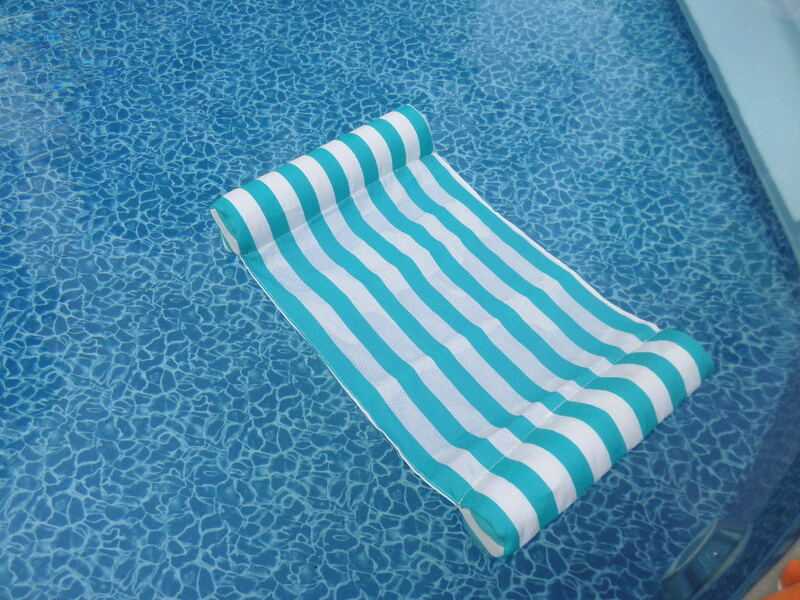 The stain and fade resistant Sunbrella fabric is soft and the float drains quickly and dries easily. Initially a more expensive investment, but will provide you with many years of relaxing comfort. 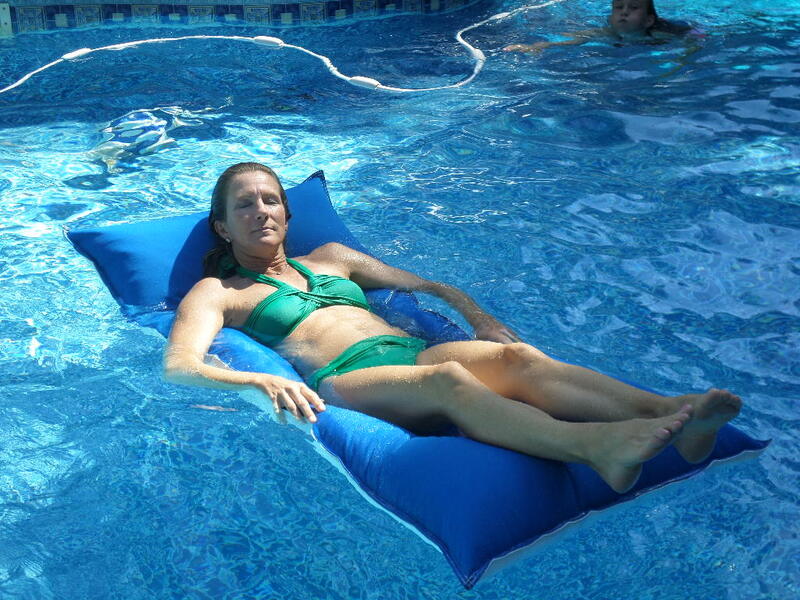 Two inflatable tubes - one at each end - make this a comfortable resting place in any pool. The larger top tube supports the neck and the bottom one fits under the knees to support the back. It measures 52" x 26". 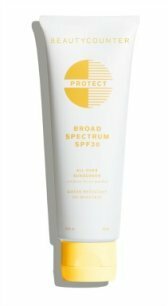 Deflate the two tubes and roll it up so it can go with you to the pool, the lake or the ocean or conveniently store it. Inflates in seconds with a couple of quick puffs. For those days when you want a quiet, relaxing moment to enjoy your pool, a swimming pool lounge float provides the perfect escape. There are many styles to choose from - stay high and dry with a thick pool air mattress or sit low and cool with a mesh bottom. 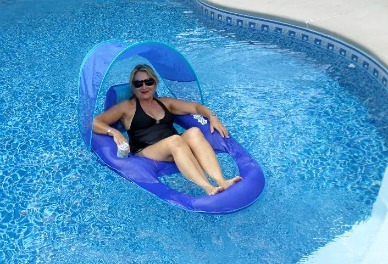 Instead of lying down, what about sitting up in a floating pool chair? It's a great way to keep cool and comfortable. You can also see (or monitor) the action better in the pool or have a conversation with another person. It's even possible to read a magazine or book, if you don't mind that it may get wet. 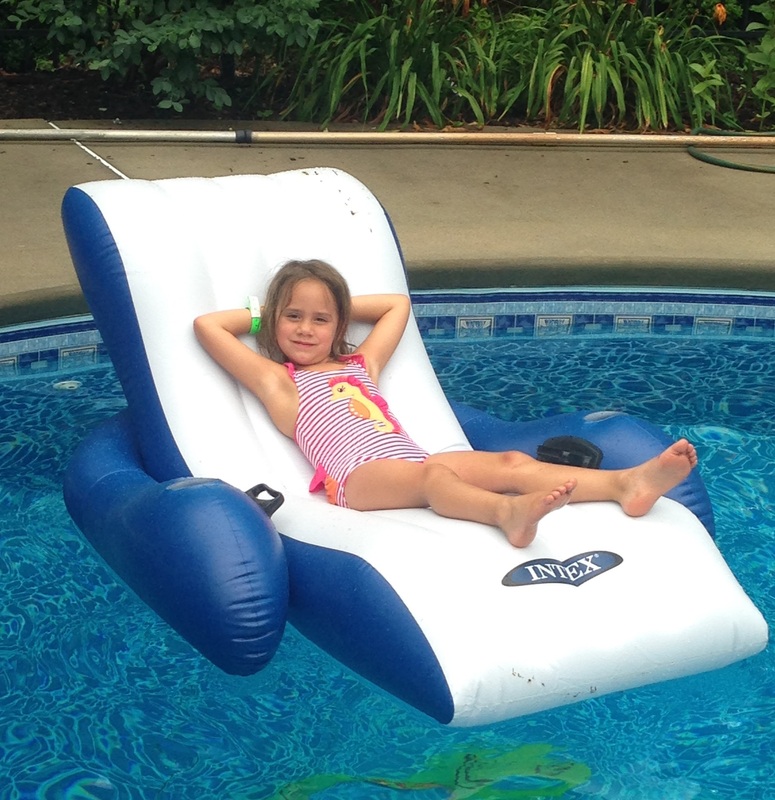 The spring pool float is fast becoming the pool lounge float of choice - want to know why? It is quick and easy to set up. Just a few puffs of air to inflate it and you are ready to go. When it's time to put it away - again easy to deflate and fold up. For storage, there is nothing better. 3. Durable - less apt to develop a tear or hole. 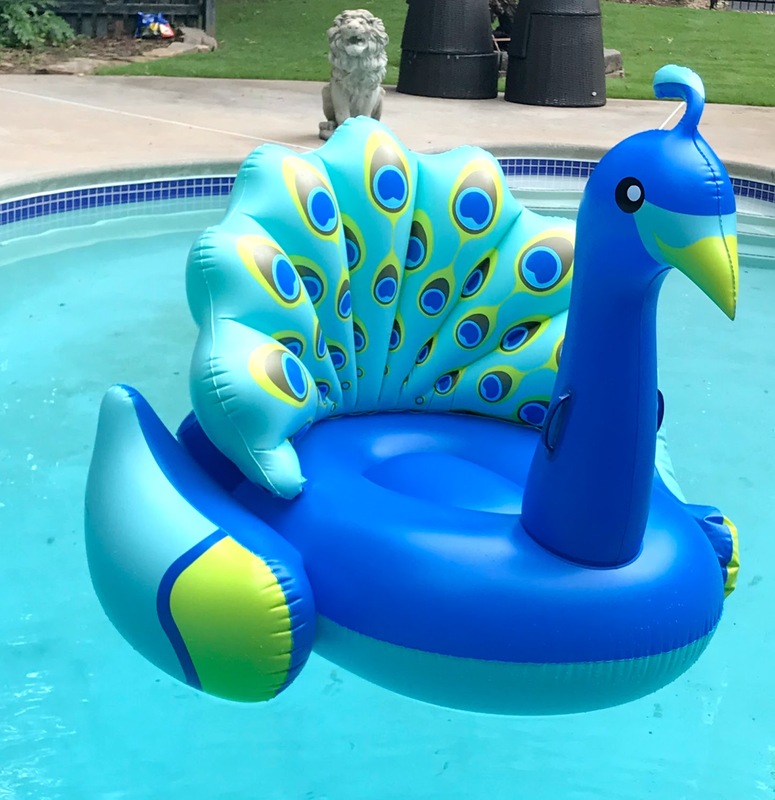 Fun pool floats, like Ms. Peacock make an appearance every summer at our pool and in the ocean. She loves kids and enjoys taking them for a ride. Inspite of her popularity she continues to welcome "riders" without any deflating. 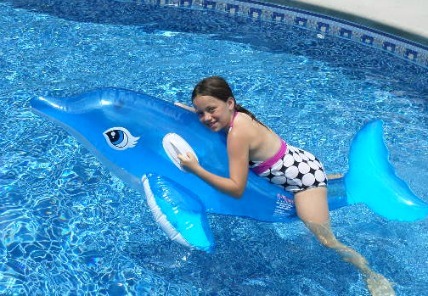 From dolphins to turtles to swans, there are lots of fun pool float toys for all day entertainment. Many of them have grab handles and/or stabilizers for less tipping .... that is if there aren't any siblings around. If you are looking for unsinkable swimming pool floats - then a float made out of foam is the way to go. 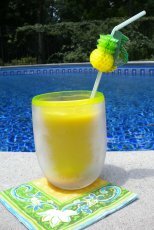 A foam pool float comes in many different styles, shapes and prices. 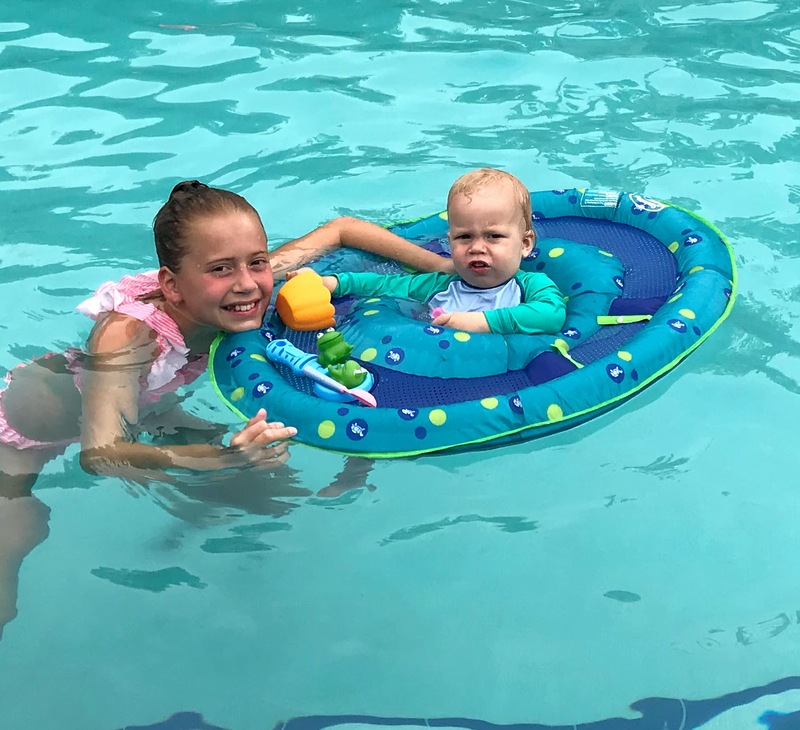 These swimming pool lounge floats cost much more than other floats but they never sink, they last longer and will provide you with years of enjoyment. This float is made out of foam with a vinyl coating so that it doesn't crack or peel. 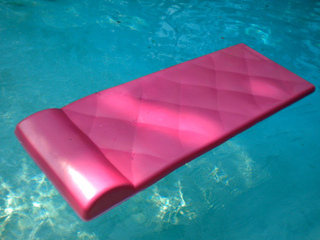 These swimming pool lounge floats most often have a built-in headrest also made of soft foam. You never need to blow anything up or deflate it when you are ready to go. The vinyl coating keeps your floats mildew-free. If you are looking for a really durable float - lasting 10 years or more this one is for your. No leaking air or anything to deflate. These floats are more durable and long lasting than inflatable pool floats made out of plastic. Foam floats come in lots of shapes and styles from pool lounge floats made out of soft foam to floating pool chairs made out of foam noodles. These floats come in different thicknesses - with the lightest one at 1 1/4" thick for a light weight person to a full 3" thick for a heavier person. 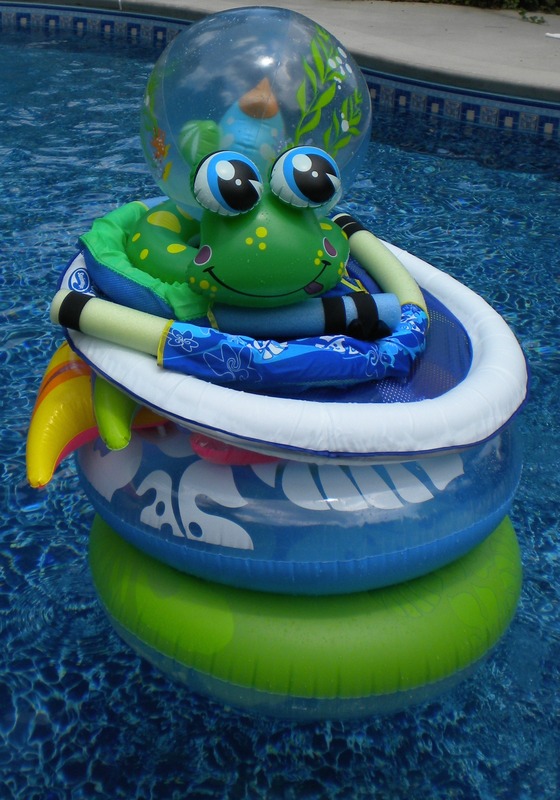 This type of pool float is often called a softie pool float. There is a reason for that - they are very soft and are really comfortable to float in. Foam floats are better than an inflatable pool lounge in my opinion as an "expert pool lounger." Made of a very soft vinyl-coated foam, the soft foam just feels better than sticky plastic. However, you do pay a lot more for a foam pool mattress and the thicker the foam the higher the price. If you are looking for a lounge that's made of soft foam and doesn't take up much room this is the one. Shorter than other soft floats, it's not for those who are really tall - but for those who like their feet dangling in the water to keep cool - well give this one a try. 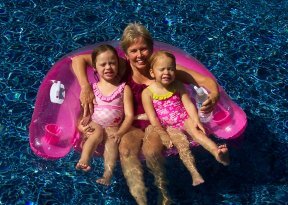 Baby pool floats are a great way to enjoy being in the pool with your infant or young toddler. They love being able to kick their feet in the water. 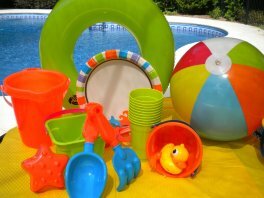 Find a float that offers protection from the sun and be sure to have a couple of fun plastic bath toys to keep your baby entertained. This float is an air mattress with several chambers and covered with fabric rather than plastic. It's the perfect float for days that you don't want to get wet or the water is too cold. If you aren't fond of sticky plastic and try this fabric swimming pool float, you will never go back. Looking to relax and enjoy some sunshine this one provides the ultimate comfort.